IP telephony, Internet telephony and Voice over IP, are called when the phone calls are over computer networks according to Internet standards are used. 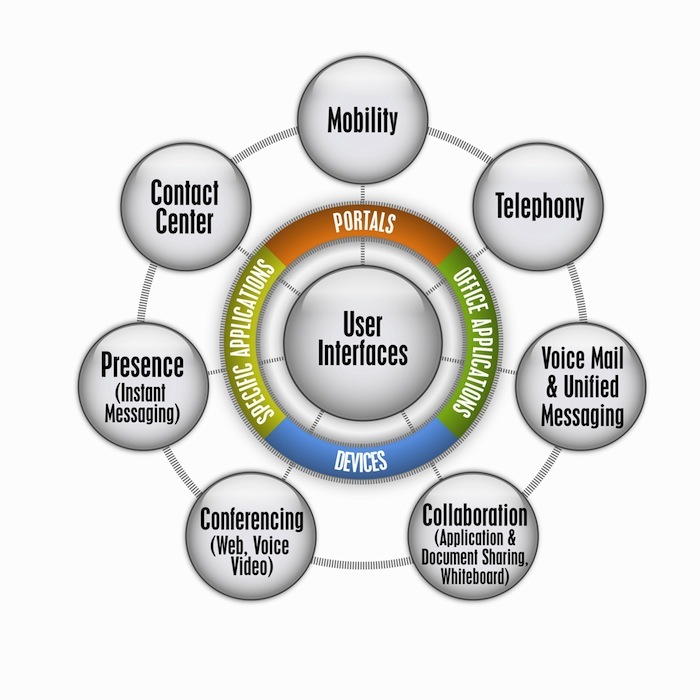 In IP telephony, the typical information for telephony, i.e. to transmit voice and control for information, for example to establish the connection via a usable data transmission network is/are used. Participants are the computer, specialized in IP telephony telephone terminals when connected via special adapters traditional phones can connect to them. IP telephony is a technology that makes it possible to realize telephone service over IP infrastructure so that these conventional phone technology including ISDN can replace the all network components. Objective of this IP Telephony is to reduce the costs by a uniformly structured and operated network. Due to the high service life, traditional telephony systems and the necessary investments for IP telephony in exchange for existing providers is often realized as a long lasting, smooth transition. Meanwhile, there are two technologies those works in parallel (smooth migration). There is an explicit need for solutions is to relate the two telephony systems (e.g. via VoIP gateways ) and the need for specific planning of the system change taking into account the possibilities for cost and performance optimization. New vendors are increasingly exclusively introducing the new technology (IP telephony instead of conventional telephone) on the market. The placement of telephone calls is an essential task in computer networks. But since many home users are connected to the Internet via DSL, for which changes the IP address is changed frequently, separates the IP address itself directly to be used as a “phone number” for contacting the VoIP phones. A placement service in the form of a server takes over this task and enables telephony, even with changing IP addresses of the IP phones. VoIP phones log on to the server, so the server knows the current IP address of the phone. Using the IP address of the phone that the server (for example SIP server) is made ? ?known, it can take over the mediation and the IP phone will ring as a function of this IP address (i.e. at any location in the world, when the IP phone is registered from there the mediation server on the Internet). Communication between the IP phones can then be performed independently from the server. There are commercial services, along with an account for Mediation Server, which also offer a local phone, which is also accessible via the fixed network. The IP telephone calls are usually free. If you have a fixed IP address, it is possible to set up on a mediation server (for example OpenSIPS ), then similar to the connection of several local networks in the fixed network to connect multiple mediation servers happens together on the same computer. In commercial solutions often existing partner networks establish a connection with a free VoIP partner networks. The network selection is limited but usually because the company with the compounds of VoIP phones in the regular landline phone providers their sales have to cover some rules. Free, self-patch open source telephony server can technically independent of these economic limitations of the Internet. Although SIP telephony server function technically good, currently has an institutionalized network of such SIP Mediation Servers, but not yet fully wide-spread. Making calls with the IP telephony can be displayed to the user as well as the classical telephony. As with traditional telephony, the telephone conversation divides it into three basic operations, the connection, the call transfer and termination. In contrast to the classical telephony with VoIP but no dedicated lines is turned on, but the voice is digitized and small data packets carried over the Internet Protocol. This Article Has Been Shared 2530 Times! Cite this article as: Abhishek Ghosh, "IP Telephony," in The Customize Windows, May 28, 2013, April 21, 2019, https://thecustomizewindows.com/2013/05/ip-telephony/.